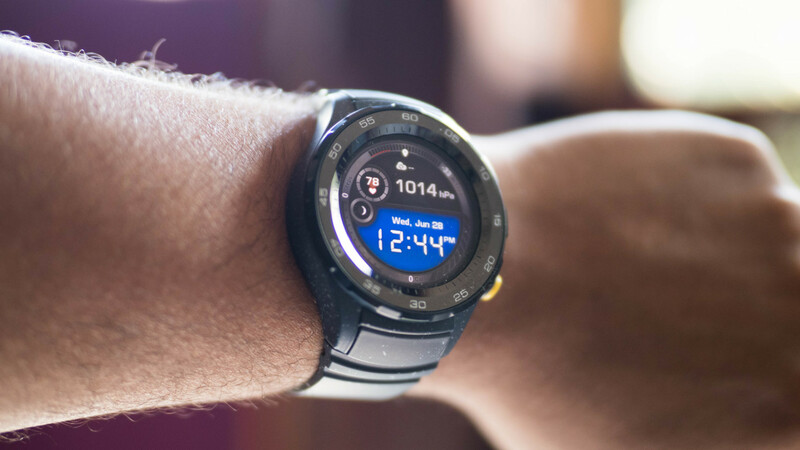 The Huawei Watch was easily one of the most attractive Android Wear watches last generation, so when Huawei unveiled the Watch 2, some users were disappointed the company had pivoted into a more sporty (read:uglier) aesthetic. Mainly, the screen was slightly smaller, and the design wasn’t as clean or minimal. 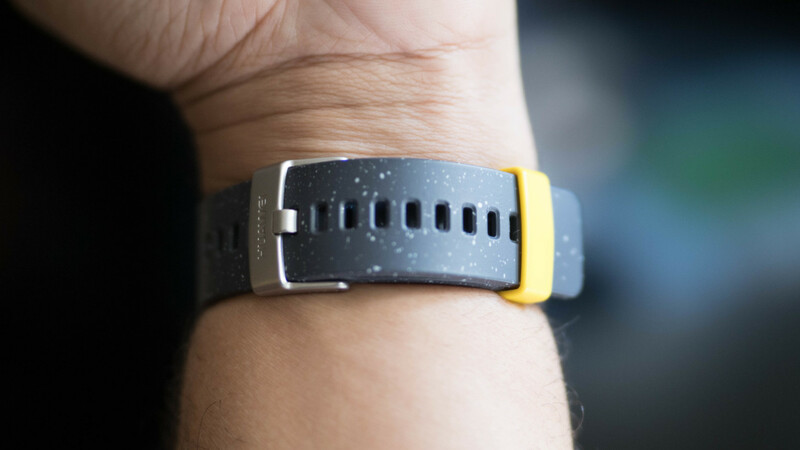 I mean, just take a look at the ‘concrete’ grey-and-yellow design I tested; it’s nice to have some more options – and I’m sure some people will appreciate the new looks – but it’s a far cry from the understated clean lines and thin bezels of the original model. Still, that’s not to say there aren’t improvements. For all the complaints on the Watch 2’s new design, I find the weight feels a bit better distributed across my wrist. If you don’t like the looks, you can use your own 20mm straps to switch things up a bit too. Then, of course, there are the series of new specs, including a faster processor, IP68 water resistance, GPS, LTE, and an improved heart rate sensor. I particularly came to appreciate the new heart rate sensor. The one on the original model was all but useless – it only tracked during physical activity, and was more prone to give me errors than an actual measurement. 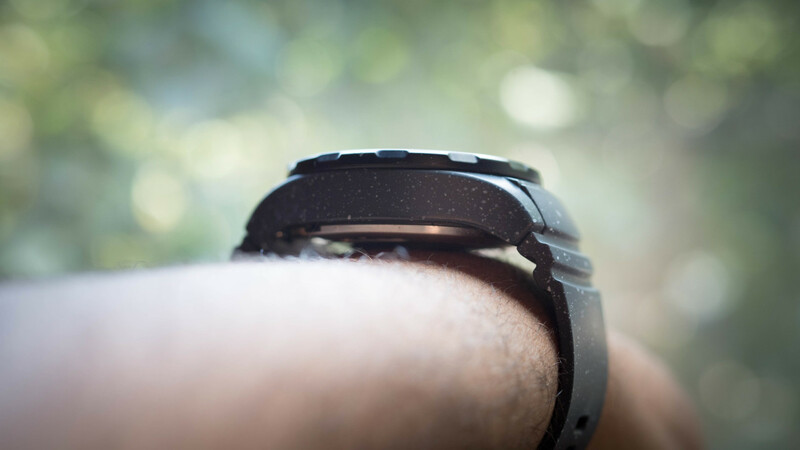 The sensor on the Watch 2, on the other hand, seems to be just as good as the one on my favorite fitness tracker of the moment, the Withings (now Nokia) Steel HR. Meanwhile, the GPS function was nice to have while tracking long walks, although kind of a moot point if you are taking your smartphone with you. That comes more in handy if you’re using the LTE function and want to abandon your smartphone altogether. Android Wear 2.0 had been out for some time now, and I have no complaints about its performance here. It runs smoothly, and the device is quick to process my voice commands. The smaller screen is a bit of a shame when swiping around the interface, especially considering there’s no crown like on the LG Watch Sport and Style, but it’s plenty usable. Emphasizing the sporty nature, a new secondary button is configured to launch the workout app by default for tracking your exercise, though it can be configured for different workout apps or functions altogether. Battery life is arguably the biggest improvement from the original Huawei Watch, and the best I’ve seen from an Android Wear device so far, at nearly two days. While it’s far from the week-long battery life you’ll get from a dedicated fitness tracker, the Watch 2 was the first Android Wear device I was generally sure wouldn’t be dead by the end of the night. The Huawei Watch 2 classic is a better looking option, but still a step down. It all comes down to this: The Huawei Watch 2 is uglier than its predecessor, but it’s also mostly better. Unless you really prefer sporty, chunky, and colorful smartwatches – and that’s fine if you do – the Huawei Watch 2 feels like a less premium device. It has a more generic look and a smaller, less touch-friendly screen. On a device that’s meant to be worn on your wrist every day, that’s not a problem you can easily ignore. But it’s also better than its predecessor by most technical metrics – whether performance, battery life, fitness tracking, or additional features. It’s one of the best Android Wear 2 devices available, especially if you care about fitness tracking and want it to last longer than a day. At $299, it’s perfectly competitive with the other options out there. That said, the better-looking Classic costs an extra $70, and US pricing for the LTE model has yet to be announced. Luckily, Huawei is still selling the original model if you prefer that design and don’t need the new features – the company sees them as quasi-parellel products. Now let’s just hope the company can combine good looks and useful features whenever the Watch 3 rolls around.